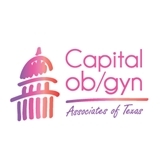 Capital Ob/Gyn Associates of Texas (Austin) - Book Appointment Online! Dr Mushtaler and the staff of Capital Ob/Gyn Associates of Texas offer comprehensive women's healthcare in a setting that is warm, intimate and inviting. As a patient, you are treated as a partner in developing customized care plans that address you as the unique individual that you are. It is our mission to ensure that you feel comfortable, safe and respected when entrusting us with your intimate health care needs. Love her! Everyone in the office was so friendly and helpful. And Dr Mushtaler is a great doctor.